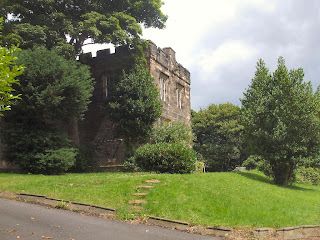 Built in 1831 Benwell Towers, designed by the Tyneside architect John Dobson, replaced an older house on the site which was built in 1221. 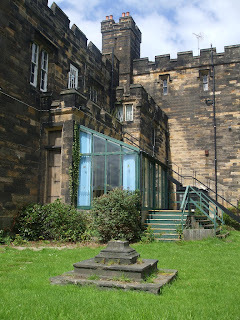 It became the residence of the Bishop of Newcastle in the 1880's and has since provided a number of different functions. 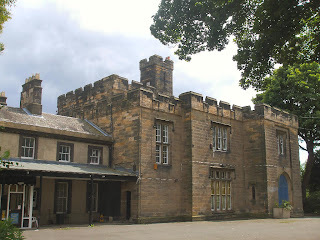 During World War II it became a fire station, and then became a training centre for the National Coal Board in 1947. 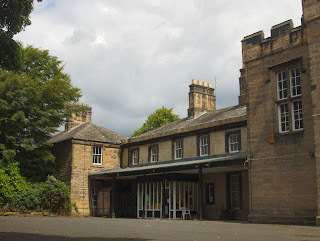 By the 1970s the building had become The Mitre pub, before achieving national fame in 1989 as the Byker Grove youth club in the BBC children's television series, Byker Grove. The final episode of Byker Grove was filmed in August 2006. Benwell Towers has been up for sale since summer 2007, and is still unused. 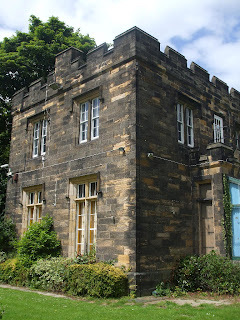 Byker Grove 'haunted'. Benwell Towers, where the TV programme Byker Grove was made, is now attracting the interest of ghost hunters. I`ll buy it if I win the lottery. It`ll probably wind up as a care home, but even that is better than falling into disrepair. It is such a shame to see it go unused. Being an east end lad I never even knew it existed until Byker Grove came along as it so well hidden. Access was very difficult. This was around the 5th or 6th time I tried to take some photos of it. I think I got lucky because there were some gardeners in doing some work. This used to be a pub called the Mitre. I spent so many happy Friday and Saturday nights there when I was in the 6th Form at John Marlay School. What a shame to see it going empty now. It looks a fantastic location for a pub. Seems a shame it can't re-open as a pub again. 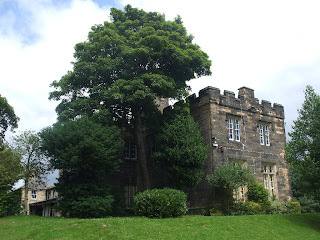 My dad worked there 1950's - 60's so l spent most of my childhood in the beautifully kept grounds and had Christmas parties in the chapel every year.As it has masses of history, l only hope whoever has bought it gives it the respect it deserves and helps create as many good memories as l have. 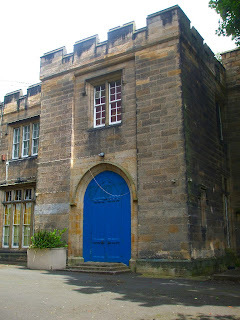 I was lucky enough to be able to visit this place back in 1999 when it was still used as the Byker Grove set. I would really like to go back and see for myself what it's like now, even if it's only the exterior. I am quite disappointed however to read that access is difficult, would love to try and get some pics of my own. Thanks. I'm sure the building will come back into use at some stage in the future. 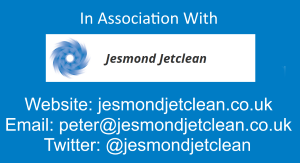 If anyone knows what is happening please let us know. My uncles used to run the pub back in the 80s. My family spent many holidays there, the best been at Christmases. I always remember playing pool in the bar area, and then playing on the organ on an evening. The rooms were amazing and very posh. Such great memories.